One hour session for rebalancing the energy systems of the body, releasing trauma, releasing muscles, working on energy points to aid return to natural function of the neurological vascular and lymphatic systems where blocks due to unresolved beliefs and emotional issues can be stored. Also good for spiritual and postural alignment, relieving aches and pains, food intolerance testing and to determine specific natural remedies to balance deficiencies by biofeedback. Stress has been recognised as the main cause of 75% of ill health, relationship and family problems. I can design a programme of treatment to help you and your family. Why put up with aches, pains, tension, anxiety and stress when you could feel more relaxed, happier and mobile. 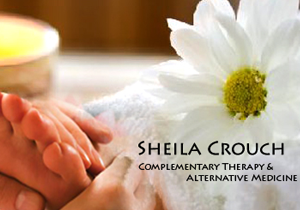 Why not take advantage of this opportunity to start feeling better today, with a highly experienced, fully qualified and insured holistic practitioner?